*Prosecutors in the case against Michael Jackson’s doctor say they want to show jurors that his complicated love life distracted him from the pop star’s treatment, reports the AP. 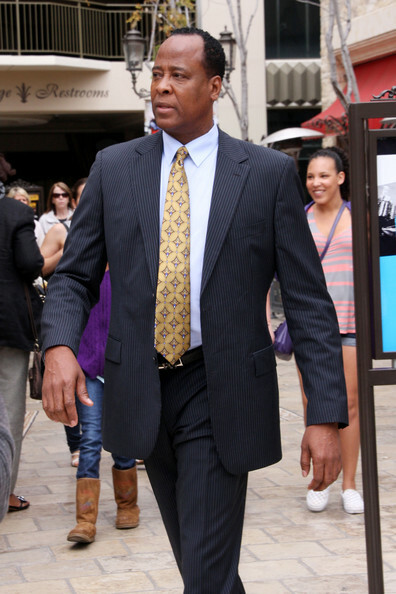 In motions filed Thursday, Los Angeles prosecutors also say Dr. Conrad Murray violated doctor-patient confidentiality by trying to impress three girlfriends with the fact that he was treating Jackson. They say he disclosed medical information to them while withholding it from authorities at the critical time of Jackson’s death and was distracted by phone conversations with the women when Jackson was dying. Murray has pleaded not guilty to involuntary manslaughter in the pop star’s death. Jury selection resumes May 4. I really hope that his family does not have to see pictures of his autopsy.That could be very painful.This clown is really trying to blame everyone except himself for MJ’s death next i guess he will be blaming the kids good grief!!!!!! !